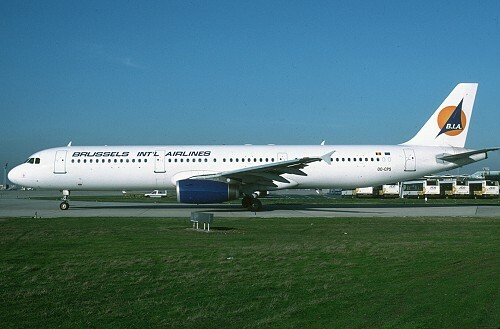 History: Brussels International Airlines was formed on July 6 1999 by taking over dormant Red-Air which was created on August 28 1991 and during 1993 being active under the name of Chartair. The concept was to offer some luxury business seats besides the usual holiday seats on their charter network. An Airbus A321 was leased from July 1999 onwards, but the AOC was not yet approved thus the airframe was leased for five months to Air Alfa. Own services started on December 4 1999. During the summer of 2000 the Airbus was leased to Tunis Air, but own operations continued via the lease of an B737. Operations ceased on January 8 2001 when the Belgian CAA revoked the AOC. Reason for this was the suspicion of whitewash activities and the associated investigations meant the end of the company and was being declared bankrupt on February 13 2001.